Making Some Extra Long Drapes Today! 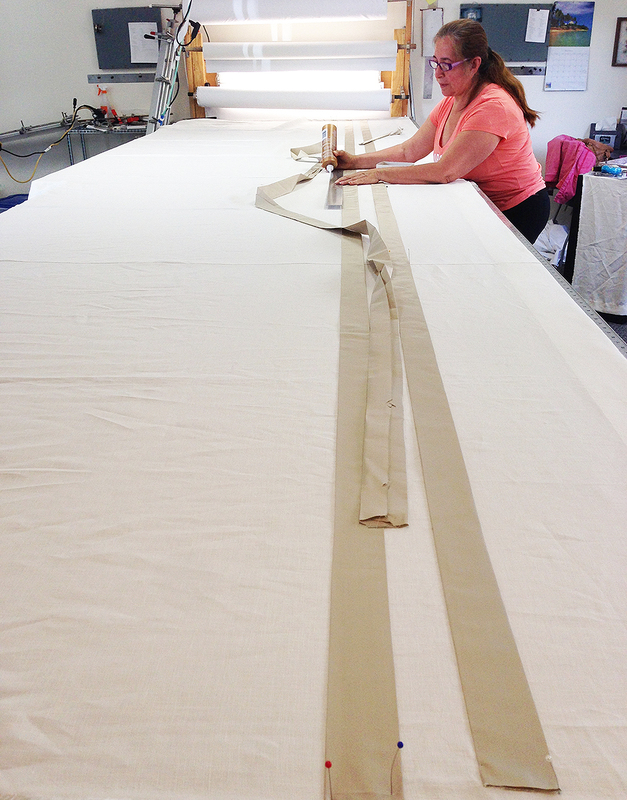 We’re making some really long and really wide custom drapes today for a Client in New York. These are Linen Drapes in our Hotel Collection and they are just over 15 feet long and 9 feet wide. These are really big drapery panels and adding the trim is not an easy task. The trim is hand cut out of silk fabric, tacked to the linen drapes and then sewn on. These are true Artisans at work! Notice how she is using a straight-edge to guide the silk trim on the linen fabric.